Discussion in 'Maps for the Official KAG Servers' started by Radinyn, Feb 1, 2019. 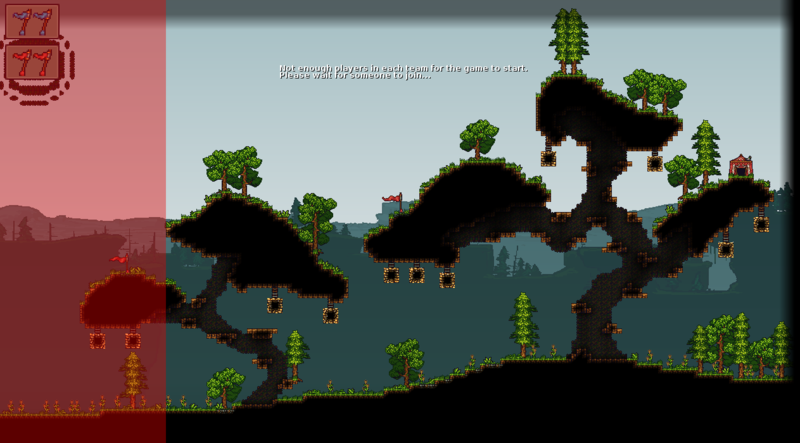 Special features: Basically trees, hanging gold blocks and grain. Moon, Blubahub and Biurza like this. I feel like there is too much easily accessible gold. I can change that symbol into stone wall, and some gold into stone. Maybe bigger tree should have stone ones. However we can also leave them as they ar as features. That's not necessarly a bad thing too, I think moderators should decide. CTF stands for Capture the Flag. Makes it so each team has ballista (with bomb bolts), multiple tps, quarry and whatever else they want without any struggle. The whole point of a map is that the team collects maybe a little gold in their build zone, then has to rush and capture mid to get everything needed (bomb bolts, more tps). Have less gold on the sides, and you'd solve the gold problem IMHO. Edit: I've also added it to the original post.